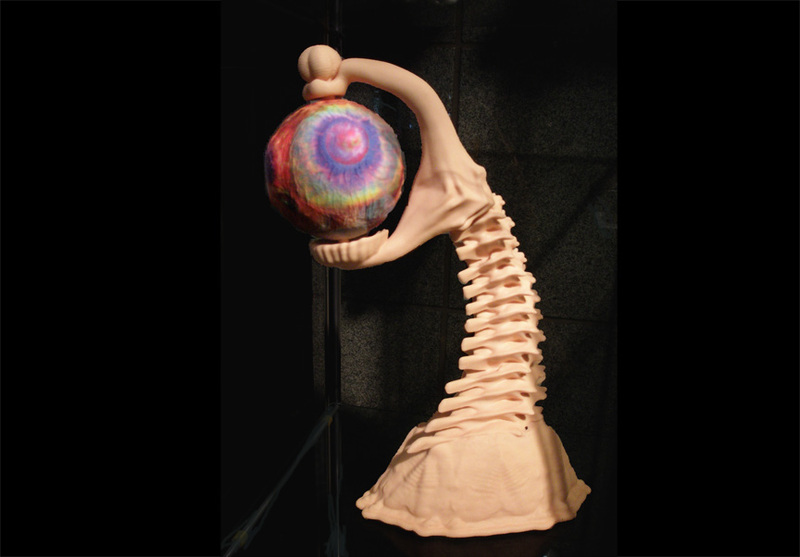 Artist Mary Hale Visser created the figure in this sculpture with a 3D modeling program. The figures were 3D printed in glass powder and resin and joined together. Visser is an art professor and Vice President of Ars Mathematica. Brad Ford Smith is an artist and conservator trained in painting and printmaking. 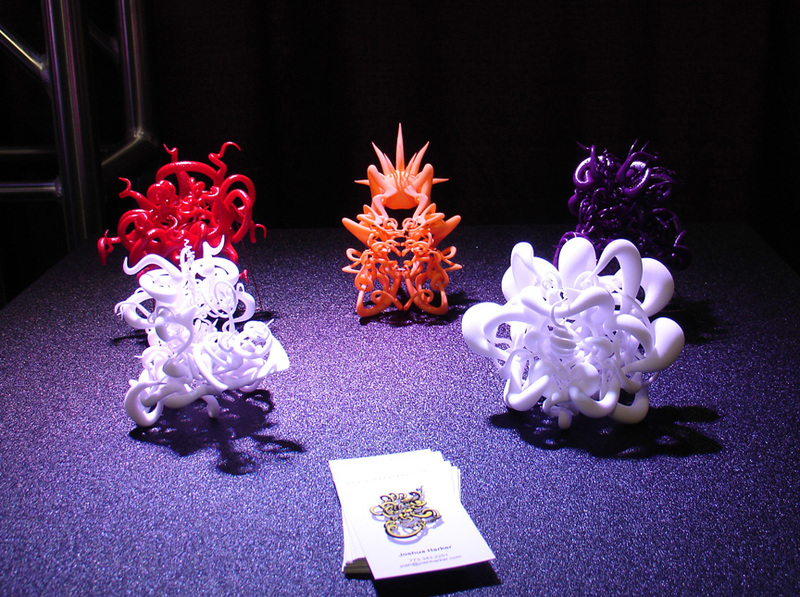 He began translating his abstract, fluid form imagery into 3D printed sculptures in 2009 when he participated in the SculptCAD Rapid Artists Project. Fran Flaherty is an artist working in 3D scanning and 3D printing. 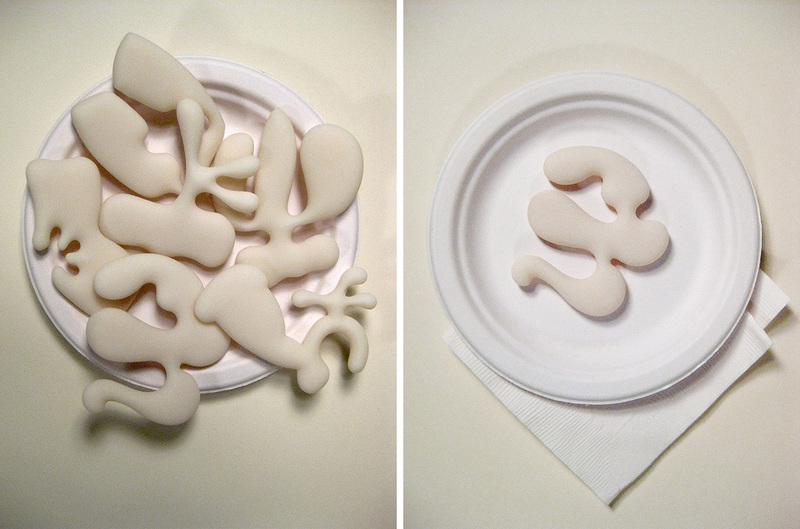 The work pictured above is a 3D print of digitally scanned breast milk in a petri dish. 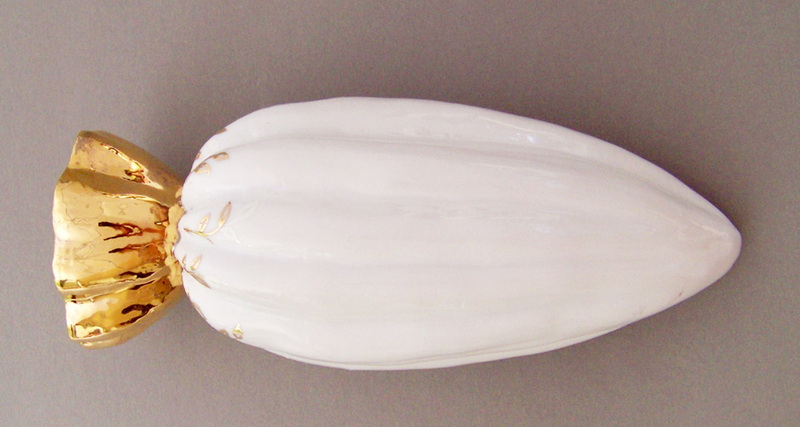 This slipcast porcelain sculpture by Anna Holcombe was made possible by a hand held 3D scanner which the artist used to scan fruits, vegetables, and seed pods. 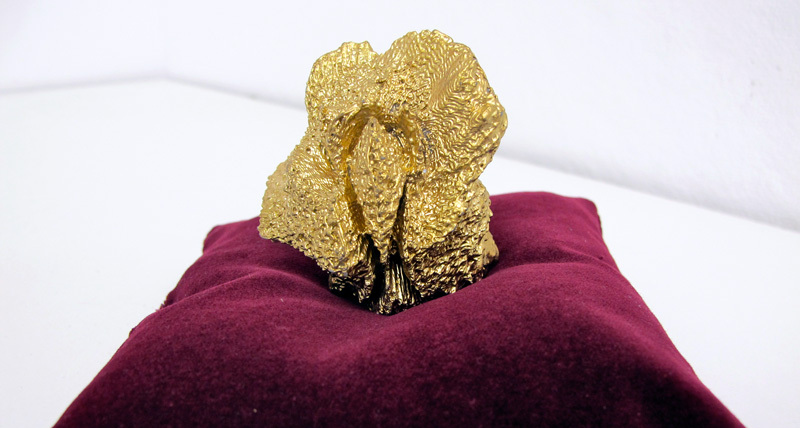 3D prints of these scans were used to create the molds for the final artworks. 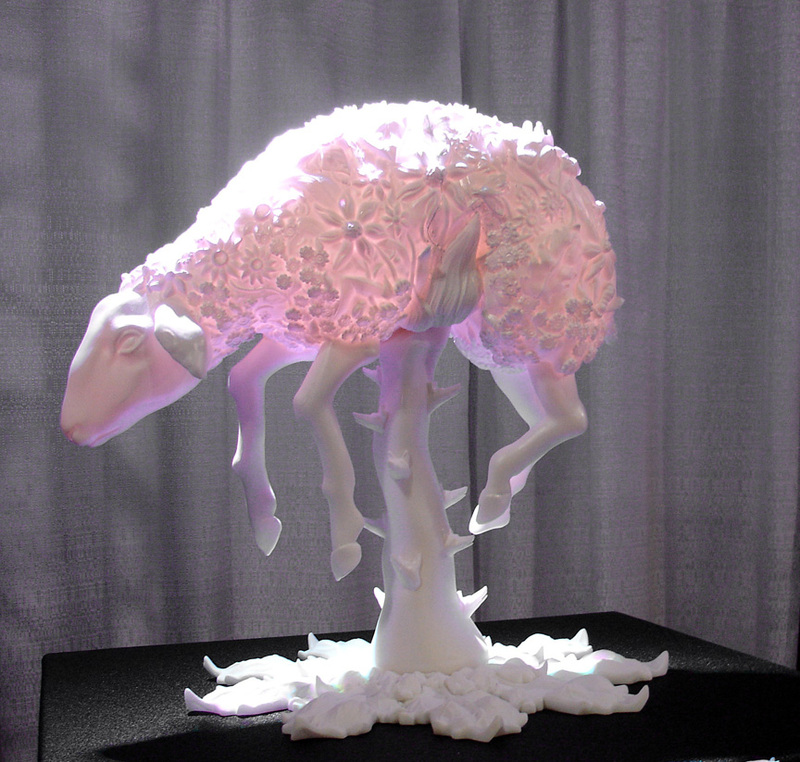 This 3D printed sculpture by Heather Gorham is the artist’s interpretation of the legend of the Vegetable Lamb, a fabled plant that had lambs for blooms. According to the tale, the lambs could feed on the surrounding plants as it grew. The lamb would eventually either free itself by chewing its own stalk or shrivel up an die — if they weren’t first devoured by wolves. 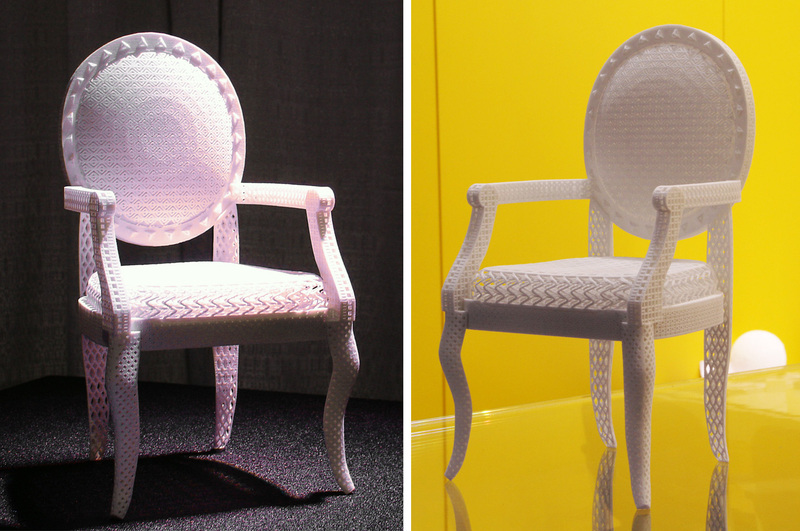 David Schäfer of NetFabb created this impressive 3D printed chair using the netfabb Selective Space Structures (3S) software. Inspired by surreal automatism, the work of artist Joshua Harker is “a quest for originality in the most literal sense.” He works in a variety of 3D printed materials as well as cast metals. For this piece, artist Andrew Werby used the 3D haptic tool to combine scans of natural objects with NASA data from exploration satellites to create a 3D printed piece in the “juxtamorph” style he and other artists established in the 1980s. 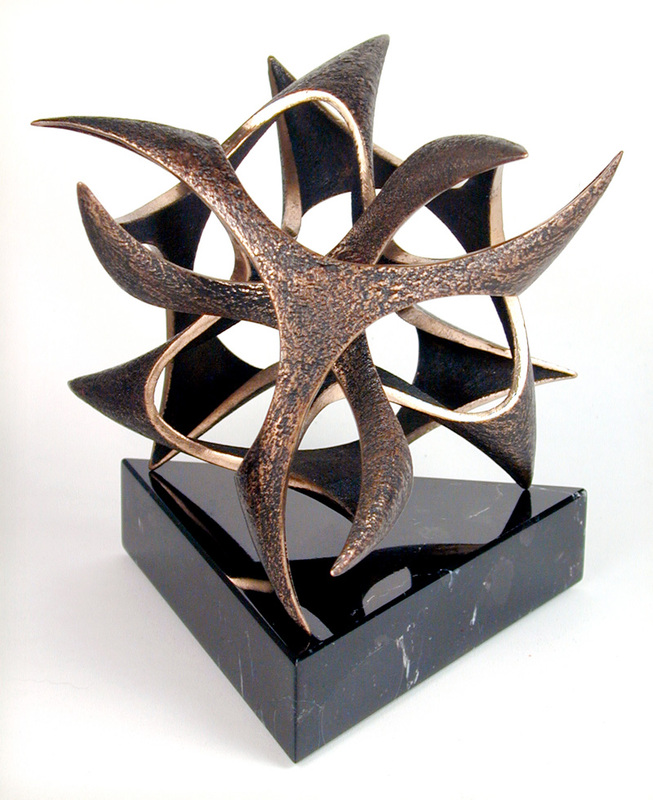 The sculptures of Bathsheba Grossman seem to have their own internal physics; as if what you see is just a frozen moment of the forms rotating and twisting around each other. 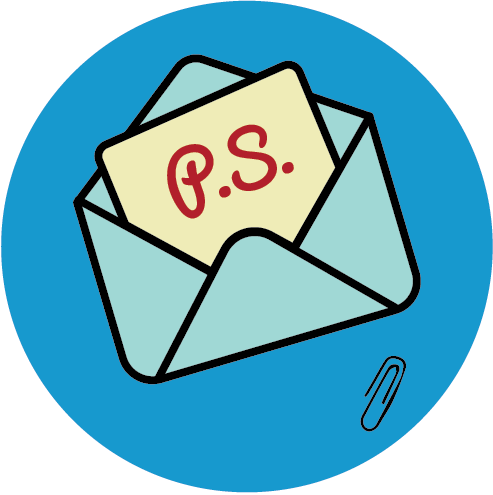 Grossman’s primary medium is 3D printed metal. For more art works exploring the potential of 3D scanning and 3D printing, take a look through the RAPID 2011 art e-gallery.